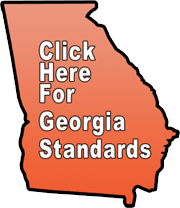 Georgia has several sets of standards that can (a) set expectations for becoming a good mentor; (b) help set a framework for a mentoring program; and (c) provide guidelines for how teachers can get “endorsements” that allow them to get paid extra for their mentoring. The pdf below outlines how these modules fulfill some of the standard requirements for Georgia’s Teacher Support Specialist (T.S.S.) Endorsement, Coaching Endorsement, and Teacher and Principal Induction Guidance. Teacher and Prinicpal Induction Guidance.